Modern Woodmen Park just might be the best (or tackiest) mix of baseball business old and new. Built in 1931, before the Rock Island Centennial Bridge beyond right field was constructed, Modern Woodmen underwent a major renovation in 2004. 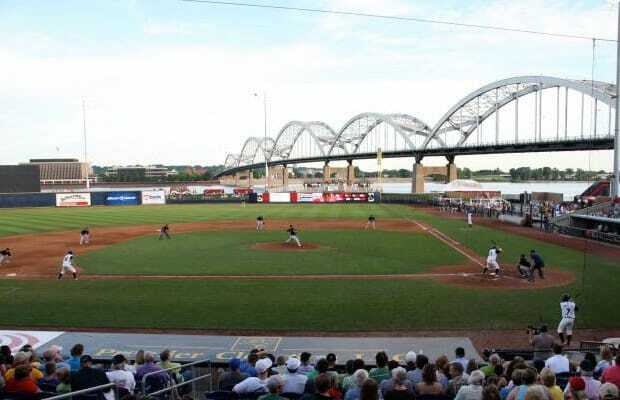 In 2008 they added a hot tub and tiki village in the right field, and a corn field in left (so the River Bandits could be introduced coming out of the corn field a la Field of Dreams). Hey, if Yankee Stadium can have some dude in the control booth dancing to "Cotton Eye Joe," why can't Davenport have a tiki village?